CAPCOM had a bit of a rough time for a while. The beloved Japanese developer and publisher known for hits like Street Fighter, Resident Evil, Devil May Cry, Dead Rising (just to name a few) did more than a few missteps in 2016. Street Fighter V didn’t perform nearly as well as expected, Umbrella Corps completely failed to captivate a sizable audience and Dead Rising 4 also had an underwhelming launch. Fans had begun worrying about the company’s future, but in the last two years, things have gone progressively better for CAPCOM between Resident Evil 7 Biohazard and, most importantly, Monster Hunter World. 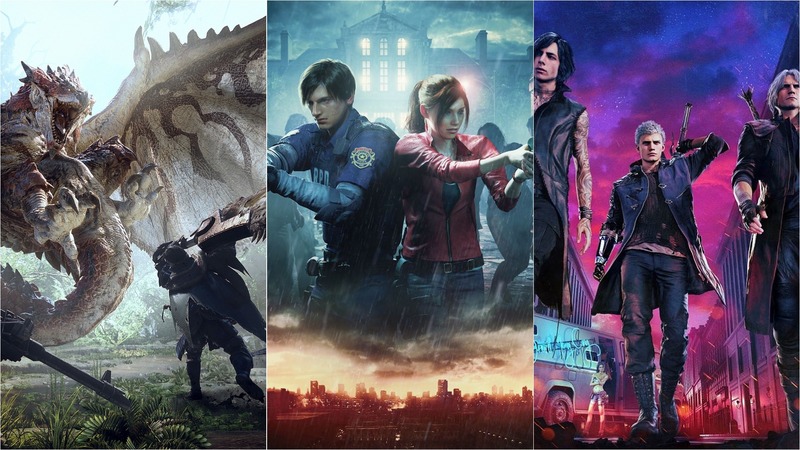 That game has almost singlehandedly managed to turn the ship having sold over eleven million units and now, the company is poised to keep the momentum with the one-two punch of Resident Evil 2 and next month’s Devil May Cry 5 (previewed yesterday by Callum). In an interview with Metro GameCentral conducted during the recent DMC5 press event, Game Director Hideaki Itsuno said that everyone in the company is really happy about this turn of events and eager to keep it going in this direction. We’re all kind of aware that, yeah. We’re really lucky in that Monster Hunter was received well, it did well. When we announced RE2 and DMC5 at E3 everyone was excited about that and now RE2 came out and it got a 91 Metacritic. And so we’re all cognisant of that and we’re all really happy that we’re doing this well and that people are enjoying what we’re making. But of course, that means there’s all this pressure… for example, Devil May Cry hasn’t come out yet so we know we have to keep all this going! Do you think CAPCOM will be able to continue pushing high-quality games in the coming years?